Thank you for your interest in my underwater photography workshops. This long page is to give you some insight into how I run my workshops and is worth a read if you haven’t travelled with me yet. Each year I run a number underwater photography workshops, some are annual events some are one offs. My two annuals are Cayman Digital Madness and my summer Red Sea liveaboard workshop. I am very choosey about locations and timings for all my workshops – underwater photography is challenging enough without missing the best conditions and action, not working with the best guides and not having the best support from operators. A workshop destination should be super productive for photography and also have reliable world class subject matter with conditions that allow everyone to have plentiful shooting possibilities. My most recent workshops have been in Bahamas, Grand Cayman, Egypt, Fiji, Galapagos, Palau, Philippines (Anilao, Dumaguete), Raja Ampat. Almost all my workshops are in destinations I am familiar with, which lets me give you the very best advice on marine life, lighting, settings and techniques before we dive and to share many suggestions for compositions that are going to reveal the best of the subject matter in your photos. My workshops are not aimed at absolute beginners. I aim to help people who are already shooting, are enthusiastic about their photography and looking to take their photos to the next level. But I try and encourage a range of levels on each trip, all I ask is that you are enthusiastic about your photography, not condescending to those behind you on the learning curve, and want to improve. There is no minimum equipment requirement and non-photography partners are always welcome. We always try and pack as much in as possible. Nothing is compulsory, but I like to make the most of every day in the water and out. I try and make my various workshops as diverse as possible. I am very aware that most people come more than once. Each workshop has a different teaching focus and all the workshops evolve year on year. I am also aware that most people will have devoured Underwater Photography Masterclass and my workshops do not simply repeat the content of my book. That said, I am not going to skip on telling you something I feel is important just because I talk about it on another workshop or it is in the book! Teaching is typical in the form of illustrated talks, pre-dive chats, and group image review sessions. I am always happy to help one to one, but I try and avoid trying to teach underwater as it too often results in confused messages. The key component to the workshops is the diving, which is focused entirely on photography. I always try and give everyone as much freedom underwater as is possible and try to maximise the amount of time in the water each day. But I do ask the photographers on my trips to respect the marine environment as they shoot. I also try and work as hard as I can to help you and your photography. The main teaching is as illustrated presentations and the popular group image review sessions. But I am always happy to answer questions, look at images and sort out gear on a one to one level. (My Cayman workshop is the only one with a one to one pool session.) And do remember if the pace is too much, I always invite everyone to feel free to skip a session or dive (I won’t be offended). I am there to work (for you), but I appreciate this is your holiday. A fundamental part of my workshop philosophy is that there is NO COMPETITION. I strongly believe this helps to promote a constructive and sharing atmosphere that is to everyone’s benefit. And just about everyone comments about it and it is one reason that my trips have many repeat photographers (or maybe I am just not teaching them well enough, so they need to come back!). On my workshops I am proud that you do not just learn from me, but from each other. The less experienced have lots of people to learn from and by explaining techniques, the more experienced really get to understand their photography. Many more experienced photographers keep coming back, not really to hear me bang on again about techniques, but because they love the atmosphere, photographic focus, diving freedom of my workshops. I am particularly proud that my workshops bring together underwater photographers from all around the world. 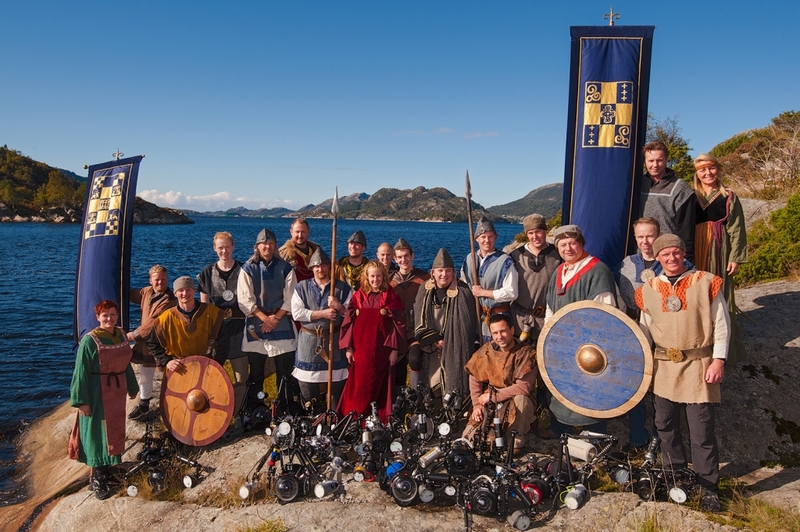 All with different aesthetic tastes, different equipment and used to shooting in different conditions. 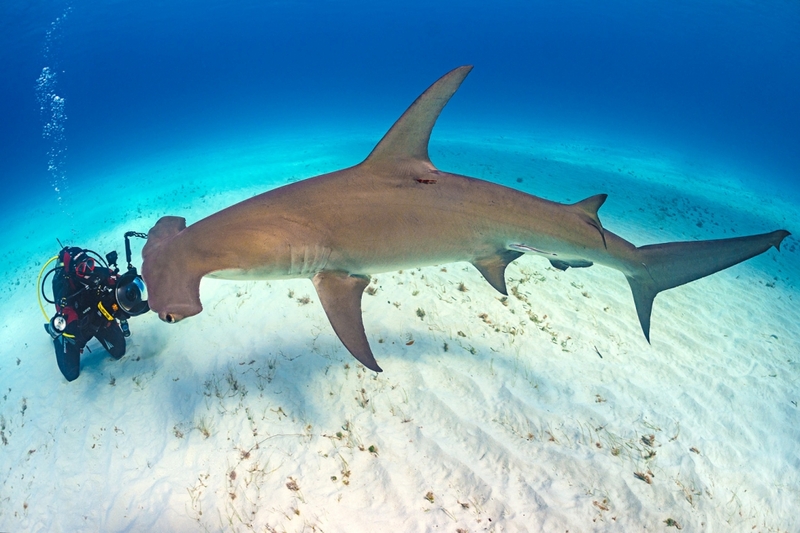 It is a fantastic melting pot for ideas and I don’t believe there are any other events in underwater photography that regularly bring together photographers like this. It is something very special and means I learn new things on every workshop too. We take our photography seriously, and I believe great images come from working hard. But we don’t take ourselves too seriously. So hopefully you’ll have a good laugh along the way. I announce my trips in my newsletter, which will direct you to this website where I will have just posted the full trip details My workshops typically fill up very quickly, however cancellations do happen and if you really want to make a trip get in touch as spaces inevitably come up. Since most of my workshops are fully booked they are not often advertised elsewhere. Please note that I am not a travel agent, so bookings are always handled by a travel agent (most often Scuba Travel, UK) or with bookings direct with the resort or liveaboard company. I don’t take your payments. This means that different trips have different contacts for bookings and price for the trip is given in the currency that they work in (always either GBP, USD or Euros – and many can take payment in more currencies still)! People regularly ask which workshop to do first. 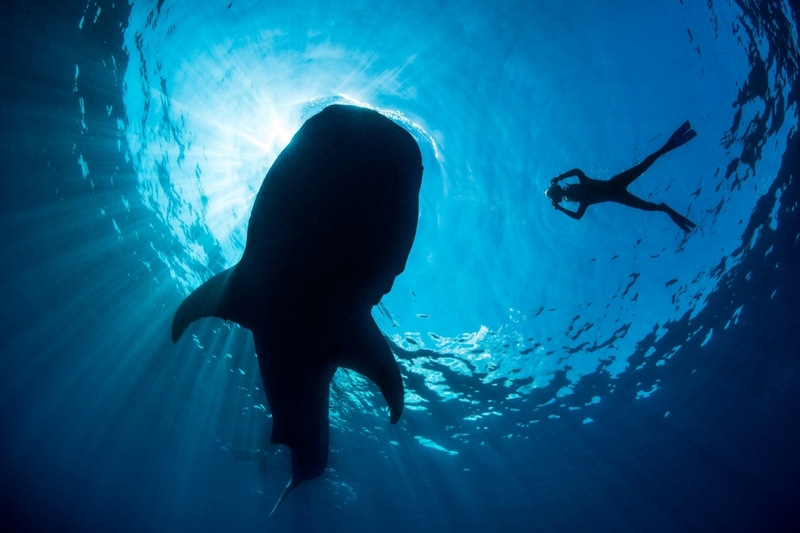 It is not that critical, but my annual Red Sea and Cayman workshops make the most sense. The Grand Cayman workshop has a focus on wide angle from the perspective of controlling light and building wide angle shots. There is excellent subject matter too, with walls, caverns, Kittiwake wreck, stingrays, macro and much more. This really gets people on the right track with their techniques and has a limit of just 12 photographers. Many Europeans start with me on the Red Sea workshops. 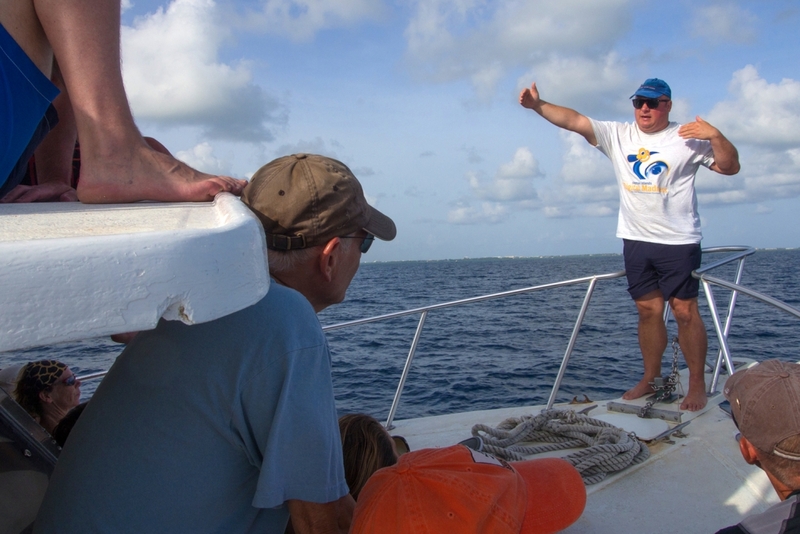 Here, the teaching is more defined by the subject matter: wrecks, reefs and schools. And again is focused on wide angle and gives a great introduction into the approach required for outstanding images. The more exotic workshops tend to be focused on polishing your skills, rather than addressing the fundamentals. So if you are relatively new, it makes sense to build up to those trips. My workshops usually finish with an end of week show, this is a private show of the trip that people can take home as a movie slideshow. Below are a couple of short versions of those slideshows, edited down and set to royalty free music to give you a flavour of these events and images that the groups produce. A short overview video slideshow from my June/July 2013 Red Sea Workshops for Scuba Travel. 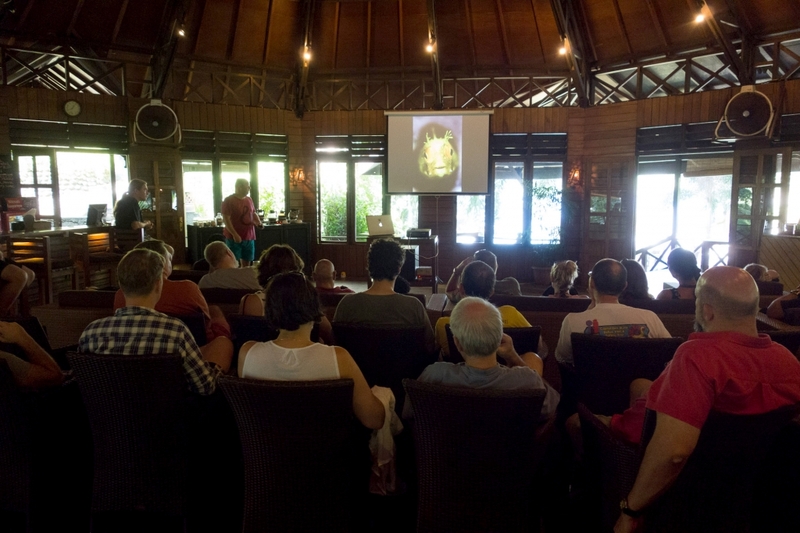 A short overview video slideshow from my October 2013 Lembeh Workshop for Wetpixel. 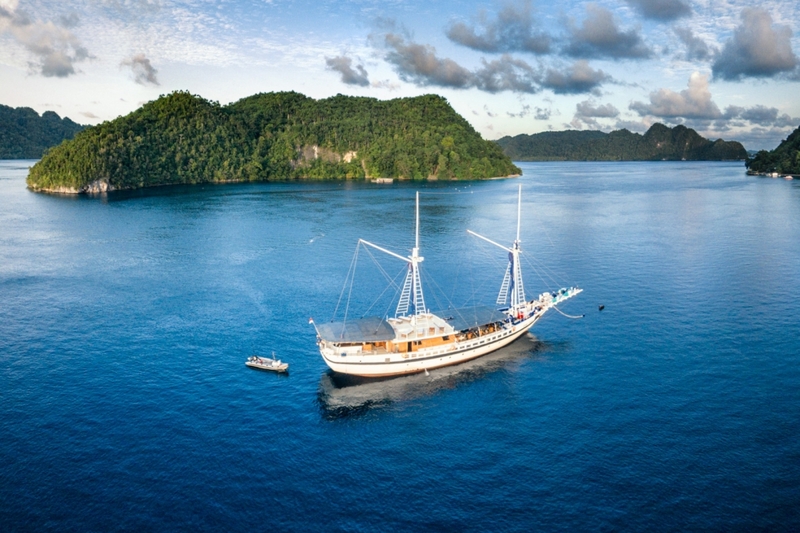 A short video slideshow from my Jan/Feb 2014 Raja Ampat Workshop with World Wide Dive and Sail.